who's afraid of blue, yellow and red? why do you love romania? 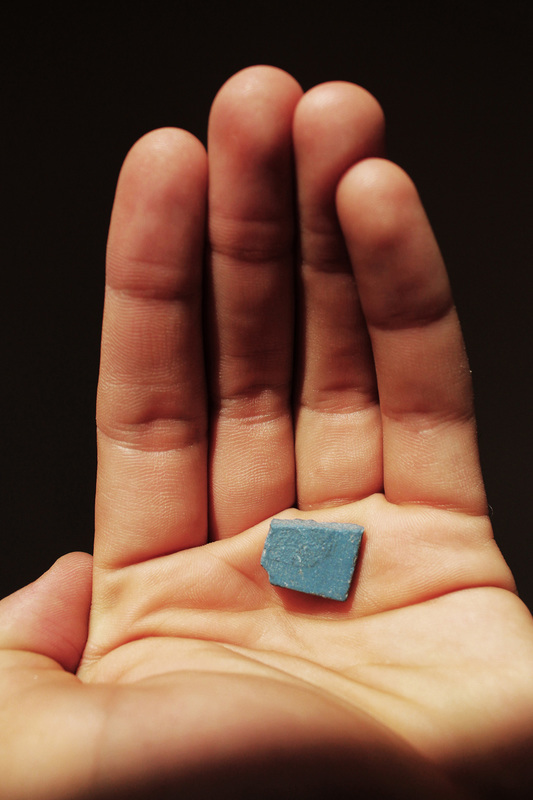 This small fragment was part of a huge mosaic that belonged to the House of the People Palace, the symbol of Romania’s communist past and the world's largest civilian building. The construction of this giant started from chaos, from destruction, in 1980, with the demolition of Bucharest’s old part of the city, the most beautiful and loved neighborhood. Among the important historical buildings lost then were Vacaresti Monastery, Brancovenesc Hospital and the National Archives. Thus, Ceausescu, our beloved dictator, demanded Bucharest’s blood in order to give birth to his monster. Colossal and known for its ornate interior, the palace houses today the Romanian Parliament and the Bucharest National Museum of Contemporary Art. My aunt was one of the young Architects commissioned to work on the building, among other 700. This piece of the historic giant is a souvenir of Romania's inglorious past and has been in my possession since March 2010. © 2009-2018 Daniel Nicolae Djamo. All rights reserved.